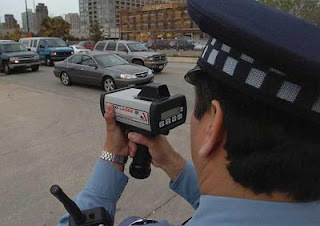 In his November 6 Sun-Times column, Mark Brown revealed that anybody showing up in Cook County Traffic Court to contest a Chicago speeding ticket, with or without a lawyer, was likely to have the ticket dismissed -- at least if the basis of the ticket was one of those "high-tech LIDAR speed detectors" introduced by the Chicago Police Department three years ago. (Brown's column noted that tickets "based on the reading from traditional radar devices are not being routinely dismissed.") Lidar is an acronym for "Light Detection and Ranging Device." It isn't radar; it allegedly can function like radar in determining the speed of a moving car. Apparently the City didn't mind dismissing Lidar speeding tickets that much -- at least before Brown's November 6 column -- because, according to that column, "the vast majority of accused speeders [disposed] of their tickets by just mailing in the fine or going to traffic school." The City began dismissing Lidar speeders after defense attorneys began challenging the admissibility of the Lidar, demanding that local prosecutors "hold a special hearing to prove the scientific basis behind LIDAR before using it as evidence." That "special hearing" is called a Frye hearing. The name refers to the case of Frye v. United States, 293 F. 1013 (D.C.Cir. 1923). In Illinois, "scientific evidence" such as a Lidar speed reading "is only admissible at trial if the methodology or scientific principle is based is 'sufficiently established to have gained general acceptance in the particular field in which it belongs.'" Snelson v. Kamm, 204 Ill.2d 1, 787 N.E.2d 796, 809 (2003), quoting Frye, internal quotation marks simplified. Brown's November 6 column said the City 'hadn't gotten around to' asking for a Frye hearing on the admissibility of Lidar evidence. Brown reports that a City Law Department spokesperson told him that "one of the problems is that -- in the cases where it has called a defendant's bluff and agreed to a Frye hearing -- the defendant gives up rather than put up a huge legal fight over a little speeding ticket." Brown reported in a November 15 follow-up column that the City had stopped routinely dismissing Lidar tickets. Presumably, once Brown spilled the beans, people stopped pleading guilty... and revenue dipped perceptibly. (The Tribune picked up the story on November 9.) Today, Megan Twohey reports in the Chicago Tribune that the Cook County State's Attorney is also pursuing a Frye hearing in a Lidar speeder case. So the question of the admissibility of Lidar results will soon be determined. I wanted to check out the case that Brown referred to in his first column on the subject. Brown said it was a Downstate case involving a Naperville lawyer, Michael Canulli, "who was driving with his family to a girls' softball tournament in Springfield nine years ago when he was ticketed on I-55 near Lincoln, where State Police had sprung a massive speed trap. Incensed by their tactics, Canulli took the case to court." The only other Illinois case to even mention Lidar is People v. Berrier, 362 Ill.App.3d 1153, 841 N.E.2d 1117 (2nd Dist. 2006). In this case, however, Lidar is mentioned only because is was the subject of the Canulli case. The Berrier court cited to Canulli on the question of whether the State is permitted to reopen its proofs after it rests its case and, if so, in what circumstances. Per email received, the campaign website of William Burnett Raines, candidate for the countywide Berland vacancy, is up and running. That's a link to the site in the preceding sentence; a link has also been added to the Sidebar. In addition, the Raines campaign is planning a fundraiser on December 4th at Cardozo's Pub, 170 W. Washington St. Chicago from 6:00 to 8:00pm. Tickets are $100 -- but tickets for "young professionals" and law enforcement personnel cost $50. I'm not certain what the cutoff for "young" is these days and the email did not specify. I am only certain that I am on the no-longer-young side of that divide. The State Board of Elections confirms that Oak Park solo practitioner Carrie M. Foris withdrew from the crowded 11th Subcircuit race on Friday, leaving 12 candidates still in the race. Hat tip to candidate Pamela McLean Meyerson for bringing this to my attention. Assistant Public Defender Daniel J. Gallagher, the candidate slated by the Cook County Democratic Party for the McCarthy vacancy, has a campaign website up and running. I'd noticed it over the weekend, but it was still obviously under construction. That's a link to the website in the preceding sentence; a link has also been added to the Sidebar. Hat tip to newly admitted attorney Patrick Russell, who's volunteering with the Gallagher campaign, for letting me know that the site is now functional. In addition to the two Republicans mentioned earlier today, four Democrats filed to challenge Assistant Public Defender Daniel J. Gallagher's bid for the countywide McCarthy vacancy. First to file was Paul Martin McMahon, a name partner in Costello, McMahon, Burke & Murphy Ltd.. A lawyer since 1992, the firm website notes that McMahon is a "lifetime member" of the Veterans of Foreign Wars and a Past President of the St. Athanasius (Evanston) Parish Council. He's also served, according to the firm website, "as a volunteer attorney at the St. Sabina legal ministry on the south side." McMahon ran for the countywide Burr vacancy in 2006. Also filing this afternoon for the McCarthy vacancy was Jessica A. O'Brien, the Immediate Past President of the Asian American Bar Association of Greater Chicago. O'Brien has been an Illinois attorney since 1998. She works for the Illinois Department of Revenue in the Income Tax Section of the Litigation Division. Filing immediately after Ms. O'Brien was Northwest Side solo practitioner James P. Pieczonka. An attorney since 1983, Pieczonka's Sullivan's listing advises that his practice is focused in taxation, real estate and condominium law. The last to file for the Democratic nomination for the McCarthy vacancy was Brad Trowbridge. A Loop solo practitioner, Trowbridge concentrates in family law. A lawyer since 2000, Trowbridge was recently mentioned in a Law Bulletin article announcing the settlement of a suit for emotional distress arising from "a failed 22-year love affair" between a one-time law student and the former dean of a local law school. Trowbridge was one of the plaintiff's attorneys. There will be no lottery for positions in this race; assuming that each of these candidates stays in the race, they will be listed, in this order, following Gallagher on the ballot. This is what I get for cracking wise: Just a few hours after I wrote, "Given that the special filing period for the McCarthy vacancy closes this afternoon, the odds are [that Maureen Masterson Pulia] will remain the only Republican" to file for a judicial vacancy in Cook County, Michaela Nolan Ryan (pictured at right) filed her papers. Ryan ran unsuccessfully for the Republican nomination to the Devlin vacancy in the 12th Judicial Subcircuit in 2008. Ryan has been a lawyer in Illinois since 1991. She maintains an office in Winnetka. A Republican files for judge in Cook County! 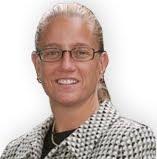 Maureen Masterson Pulia, an Illinois Workers Compensation Commission Arbitrator, filed late this morning for the countywide McCarthy vacancy as a Republican. Pulia ran as a Republican for the Shultz vacancy in the 4th Judicial Subcircuit in 2008, winning in the primary but losing in November to the Democratic nominee, Pat Rogers. Pulia has also served as the Village Clerk and as a trustee of the Village of Westchester. Pulia's filing is the first -- and so far the only -- filing by a Republican judicial candidate in Cook County (countywide or subcircuit) for the 2010 primary. Given that the special filing period for the McCarthy vacancy closes this afternoon, the odds are she will remain the only Republican. This morning's email brings notice of a December 2 fundraiser for Judge Thaddeus Wilson, candidate for the Coleman vacancy in Cook County's First Judicial Subcircuit, a seat that he now holds by Supreme Court appointment. Wilson's fundraiser will be held at Excalibur, 640 N. Dearborn Street in Chicago between 5:00 and 7:00pm on Wednesday, December 2. According to this Facebook page, the suggested donation is $65, but premium tickets are scaled as follows: Supporter, $100; Patron, $250; and Sponsor, $500. 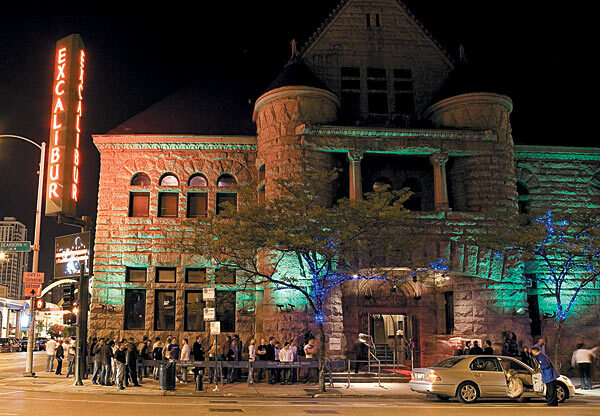 To reserve tickets (and reservations are requested), please call (312) 244-3786 ext. 1. Two veteran Cook County jurists, Henry A. Budzinski and Curtis Heaston, have been recalled to judicial service for another year, ending November 30, 2010. Two Associate Judges have also been recalled, Joan M. Kubalanza (who's running for the Lipinski vacancy in the 15th Judicial Subcircuit) and John M. Grogan. If you looked at this August post, which I'd updated as recently as September 12, you'd have seen that William R. Jackson, Jr. was appointed by the Illinois Supreme Court to the countywide Riley vacancy (the Vacancy of the Hon. Ronald C. Riley, as opposed to the 11th Subcircuit Riley vacancy, to wit, Vacancy of the Hon. Barbara Riley). Judge Jackson was not slated by the Democratic Party for the countywide Riley vacancy -- but he was selected one of five new Cook County Associate Judges. When Judge Jackson became an Associate Judge, the Riley vacancy was opened up again. In yet another appointment I missed, on November 3, the Illinois Supreme Court appointed Assistant State's Attorney Maureen Leahy Delehanty to the new-old vacancy. 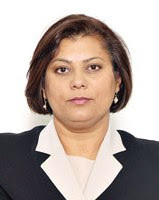 Judge Delehanty began her judicial career on November 16; this appointment will end on December 6, 2010. Delehanty is not currently a candidate for judicial office. 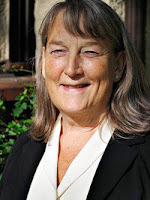 She did file for the Donnersberger vacancy in the Third Judicial Subcircuit for the 2008 primary but withdrew in December 2007, allowing appointed Judge Patrick J. Sherlock to hold that seat by default. Well, the long and the short of it is, I missed it: Assistant Public Defender Pamela M. Leeming was appointed to the McCarthy vacancy by the Illinois Supreme Court on October 30. Her appointment begins December 1 and terminates December 6, 2010. 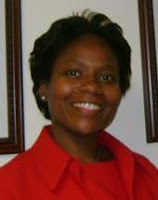 An attorney since 1990, Leeming was a finalist in the 2008 round of Associate Judge Selection. She currently serves as Secretary of the Asian American Bar Association. Leeming is presently a candidate for the Riley vacancy in the 11th Judicial Subcircuit -- a seat to which Steven J. Fruth was appointed by the Supreme Court. While I missed the announcement, the Cook County Public Defender's Blog did not. I don't feel too bad about that. After all, Leeming works for the PD's office and the Supreme Court doesn't always issue a press release when it fills a vacancy. But also scooping FWIW on this occasion was Ameet Sachdev of the Chicago Tribune's "Chicago Law" blog. You know... the Chicago Tribune that never publishes anything about judicial elections or appointments except for maybe one article around endorsement time? Yes, that Chicago Tribune. Sachdev writes (in a November 3 entry!) "Chicago's Asian-American community is celebrating [Leeming's] appointment. Leeming, who is of Pakistani descent, is believed to be the first Asian-American to serve as a judge for the full Cook County circuit. Several Asian-Americans are judges in Cook County subcircuits." The special filing deadline for the McCarthy vacancy is Monday. Update 11/21/09: My copy of the November 3 Tribune seems to have already been recycled so I have to rely on Westlaw for this assertion -- but, after checking, it would appear that Mr. Sachdev's blog entry about Leeming's appointment (linked above) never made it into print. Thus the actual newspaper didn't cover Leeming's appointment after all. My belief in the balance of the cosmos is restored. First campaign sign of the season? 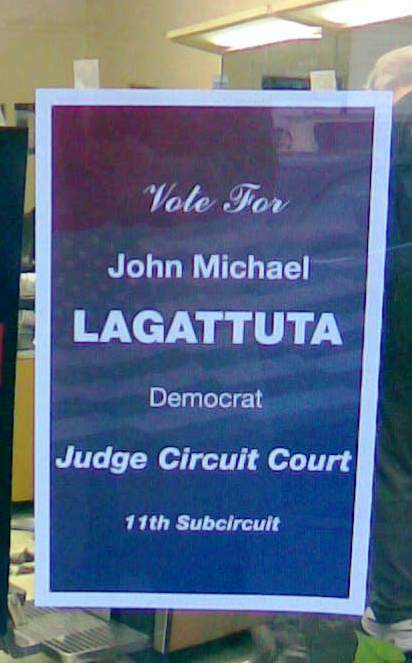 Sight seen at a Park Ridge barbershop yesterday afternoon: This campaign poster for John Michael Lagatutta, one of the 13 candidates for the one and only seat available from Cook County's 11th Judicial Subcircuit. The barber asked me not to identify his shop too particularly; he only put up this sign, he told me, because the candidate is also a customer. But soon whole groves of lawn and window signs will be in evidence and, thanks to the oh-so-early February 2 primary date, some of the signs may be festooned with lights or tinsel. If you have a noteworthy or unusual photo of a campaign sign (or group of signs) for a Cook County judicial candidate you'd like to share, send it to me as a .jpg file. I reserve the right not to publish the sign, or to limit the number of sign photos published. On a more substantive note, the floor is now open for submission of candidate statements "in their own words." The first of these went up this week; I'll keep putting up candidate statements as they come in. When I did this in 2007-2008, I got statements from roughly 25 candidates. I'm hoping to have many more personal statements this time around. I also linked to the candidate statements when I did 'round up' posts -- on a race by race basis -- so voters could comparison shop in the days immediately before the primary. If you're looking for exemplars, you can find the 2008 round-up posts and the personal essays in the Archives. To browse the Archives click on the year in the Sidebar; this will open up a month by month menu and you can search from there. Also, I've run posts about several judicial candidate interviews on North Town News Magazine. If you know of other TV opportunities for, or appearances by Cook County judicial candidates, please leave a comment or send and email so I can promote these as well. Finally, I'm looking for information from church or community groups about candidates' nights. I seem to have a knack for hearing about these after they've happened. I'm hoping to change this. If you're hosting an event for judicial candidates, even if you're limiting the event only to candidates from a particular subcircuit, please leave me a comment or send me an email. I'd like to help publicize your event. Avy Meyers, the host and proprietor of North Town News Magazine, has posted two more interviews of Cook County judicial candidates on the Internet and you can watch them right now on page two of this blog by following the links below. Specifically, you can watch either William Burnett Raines, candidate for the countywide Berland vacancy, or Jeffrey Dov Greenspan, candidate for the "A" vacancy in the 9th Judicial Subcircuit, by clicking on the candidate's name. North Town News Magazine can be seen Thursdays on CAN-TV, Channel 19, in Chicago, at 7:30pm and again on Friday at 2:30pm. Evanston residents can watch on Cable Channel 6 on Thursday at 8:00pm. NTNM also airs every Monday at 6:00pm in the following suburbs: Arlington Heights, Bartlett, Des Plaines, Glenview, Golf, Hanover Park, Mt. Prospect, Park Ridge, Prospect Heights, Northbrook, Schaumburg, Skokie, Streamwood and Wheeling (on Channel 35) and Buffalo Grove, Elk Grove Village, Hoffman Estates, Lincolnwood, Maine Township (unincorporated Des Plaines), Mission Hills (Country Club Properties), Morton Grove, Niles, Palatine, Rolling Meadows and Wilmette (on Channel 19). If anyone has information about Cook County judicial candidate appearances on other programs, please leave a comment or send me an email. Linda J. Pauel is a candidate for the countywide Dolan vacancy. I believe I am qualified for the position of a judge of the Circuit Court of Cook County for reasons both personal and professional. Due to my life experiences and education, I possess the integrity, temperament, legal knowledge and ability required to serve as a judge. Additionally, I have had extensive litigation and administrative experience over the course of my eighteen year legal career which has provided me with the necessary intelligence and good judgment required of a judge. With respect to my personal characteristics such as humility, compassion, empathy, and civility, my family history is relevant. My father grew up in Holland during the Nazi occupation. At 30 he moved to Jamaica where he met my mother, a beautiful mixed-race woman. My mother’s father was a Chinese baker. He worked long hours in his shop leaving my mother to be raised by her extended Chinese family; she never met her African-Jamaican mother. Not long after meeting, my parents fell in love and got married. My father’s family did not attend the ceremony. But all cultural and racial barriers eventually melted away when they met my mother and, later, their brown-skinned grand children. My early childhood memories are filled with laughter, swimming in the Caribbean Sea, and visiting with family and friends. School was strict: we wore uniforms, spoke only when called on, were disciplined with bamboo canes, and were continuously lectured on good manners and proper behavior. Classes were difficult and homework took hours. But the intensive studying and self-discipline served me well and helped me to excel at all levels of my education. In the late 1970's Jamaica went through a major social and political upheaval which resulted in horrible violence. My father stood out as a foreigner with his white skin and heavy Dutch accent. After numerous threats on his life we fled to Houston, Texas. At first I was miserable. I looked different, I sounded different, and quite honestly, my rainbow-colored, multi-cultured family embarrassed me. But my home soon became a gathering place for new friends and neighbors. They enjoyed our reggae music, spicy food, and stories of world travels. From that experience I learned some important life lessons: respect peoples’ differences, keep an open mind, and learn to love and be comfortable in your own skin. I possess a good deal of common sense, the ability to comprehend complex matters, and a compelling desire to do well. Those attributes helped me excel in high school and secure a scholarship to a good college. I graduated in the top two percent of my class at Cornell College with a double major in Political Science and International Relations, and a minor in Spanish. I spent the next year visiting my brother in Texas, working retail in Colorado, de-rouging corn in Iowa, and canvassing for the National Organization for Women in New York. I also traveled to many states including Michigan, Florida, Oklahoma, California, North Dakota and Utah. My exposure to people of different races, religions and cultures only deepened my conviction that, at the most fundament level, most people simply want to be treated fairly and with dignity and respect. With that in mind, and hoping to create positive change, I applied to law school. Law school was challenging but I worked hard and graduated third in my class with high honors. I went to work for Sachnoff & Weaver, a medium-sized law firm in downtown Chicago. As an associate in the litigation department I worked on a variety of cases ranging from securities law, mechanic’s liens, employment discrimination, abortion rights, death penalty defense, to Fourth Amendment strip search violations. It was a great place to work. The lawyers were intelligent, hardworking, open-minded and non-judgmental. I was still drawn to the public interest sector, however, so I changed my career path to work for the City of Chicago’s Law Department. My first assignment was in the branch courts where I negotiated plea agreements, debated legal issues, and tried case after case. I then worked in the Mayor’s License Commission Unit where I practiced extensively before the Local Liquor Control Commission, the License Appeal Commission, and Chancery Court. Having requested more jury trial experience, I was assigned to the Torts Division where I defended the city against hundreds of personal injury actions. A year later I was promoted to Senior Counsel in the Municipal Prosecutions Division where I supervised the branch court attorneys and worked extensively on issues such as First Amendment protections, constitutional challenges, gang loitering enforcement, tuberculosis containment, HIV testing and animal abuse prevention. After five years I transferred to the position of License Enforcement Unit supervisor. I am now back in Municipal Prosecutions supervising newer attorneys on a variety of matters including Branch Courts, Traffic and Administrative Review cases. Thus far I have enjoyed an interesting and varied legal career. I have practiced before federal, state and administrative court systems. I have handled bench and jury trials, criminal and civil cases, as prosecutor, defense counsel and plaintiff’s attorney. Over the course of my career, I have had the privilege of practicing before incredibly talented and dedicated jurist from whom I have learned the awesome responsibility that comes with the profession, and the importance of treating even the most zealous adversary with respect, fairness, and civility. I am equally proud of my accomplishments outside of my legal career. I am the proud parent of two wonderful children, Dylan, 7 years, and Skylar, 5 years. We enjoy participating in many activities including camping, traveling, swimming, basketball, ballet, and triathlon. Before raising children, I played competitive women’s rugby and was selected to play on the Midwest All Stars team. After a 10 year rugby career, I played soccer for several seasons before trying my hand at triathlons. After only one season I entered an iron distance race (2.4 mile swim, 112 mile bike, 26.2 mile run) and placed first in my age group. Clearly I enjoy challenges and am willing to work hard to achieve my goals. These qualities all convey a candidate with the necessary legal knowledge, professional experience, physical and mental ability, integrity, temperament, diligence, and common sense to serve as a Judge in the Circuit Court of Cook County. Thank you for your consideration. Avy Meyers of North Town News Magazine reports that he has a number of interviews with judicial candidates coming up in the near future. Judge Michael Ian Bender candidate for the "A" Vacancy in Cook County's 9th Judicial Subcircuit, a seat that he now holds pursuant to appointment by the Illinois Supreme Court, will be Avy Meyers' guest this week. The program will be shown this Thursday, November 19 on CAN-TV in Chicago on Channel 19, at 7:30pm and again on Friday at 2:30pm. Evanston residents can watch on Cable Channel 6 on Thursday at 8:00pm. If you'd rather not wait, you can watch the interview right now on page two. I will be posting other NTNM candidate interviews in the next couple of days. If you know of any other cable program that is giving Cook County judicial candidates a chance to be seen and heard, please send me an email or leave a comment. * I had not previously found Fitzgerald's campaign website. I have added it to the Sidebar. It is noteworthy that no objections were filed to the nominating petitions of any candidate in the 9th Subcircuit. Theodore "Ted" London (objection pending). Elliott L. Powell (objection pending). I'm opening up the floor for candidate statements. Any interested candidate is invited to provide a statement in your own words -- your own essay, addressed directly to the voters. When I did this in 2007-2008, I got statements from roughly 25 candidates. I'm hoping to have many more personal statements this time around. I ran these as they came in. I also linked to them when I did 'round up' posts -- on a race by race basis -- so voters could comparison shop in the days immediately before the primary. You can find the 2008 round-up posts and the personal essays in the Archives. To browse the Archives click on the year in the Sidebar; this will open up a month by month menu and you can search from there. I've already received one candidate statement; it will go up shortly. Per email received from campaign manager Eileen T. Barron, a fundraiser will be held for Cook County Circuit Court Democratic judicial candidate Joanne Fehn on Thursday, November 19th, from 6:00 – 9:00pm at La Villa Restaurant, 3632 N. Pulaski, in Chicago. The link in this sentence will (I'm pretty sure) take you to an evite for the event. Ticket prices begin at $40. Follow the link to the evite or see the candidate's campaign website for additional information. Fehn is a candidate for the countywide Kelley vacancy. If you have an event that you'd like to promote on behalf of a Cook County judicial candidate, or if you're affiliated with a church or community group that is organizing a meet the candidates program, please send me an email or leave a comment. Assistant Public Defender Daniel J. Gallagher's nominating petitions for the recently opened McCarthy vacancy were filed when the doors opened this morning at the Illinois State Board of Elections. A lawyer since 1994, Gallagher was "pre-endorsed" in September by the Cook County Democratic Party in case a vacancy opened up after the regular filing period. Gallagher doesn't yet have a campaign website up and running (at least not that I could find) but he does have this Facebook page. The McCarthy vacancy is the only new vacancy posted in Cook County, although there are others downstate. The special filing period ends next Monday, November 23. From the CFL press release, "The Chicago Federation of Labor is the central labor body covering Chicago and Cook County. The CFL has 300 affiliated labor unions comprised of approximately half a million union members. The endorsements were decided by the CFL Committee on Political Education, with delegates from all affiliated unions." I'd seen a post on a candidate's Facebook page over the weekend about the CFL endorsements, but Illinoize beat me to the punch in posting this information. Links are to campaign websites, where known. Interestingly, in four of the six races in which a lottery was necessary, the candidate slated by the Cook County Democratic Party won the coveted top ballot position. (Judge Thomas V. Lyons was the only candidate to file for the O'Malley vacancy when the doors opened at the State Board of Elections on October 26 and so did not have to worry about a lottery.) Also, in case you missed it browsing through, Kevin J. Murphy, who filed for each of the countywide openings and all three 15th Subcircuit vacancies besides, chose to make his stand in the Dolan vacancy. A note about objections: Earlier, I did a post about objections. A candidate had posted a complaint elsewhere about petition sheets that were merely photocopied and numbered in a transparent effort to plump up the stack. Some objections are based on violations this blatant -- but not all. At the other extreme, some candidates may use objections to force an opponent to squander limited campaign resources defending a challenge. This is a particularly useful tactic in a race with only one or two opponents. The point is this: The hearing process on the objections is just beginning. Don't make unfair assumptions about any particular candidate, either because he or she has pursued objections, or because objections have been made against him or her. Let the process unfold. Judge Steven J. Fruth, appointed by the Illinois Supreme Court to the Riley vacancy in Cook County's 11th Judicial Subcircuit, drew the top spot in the ballot lottery this week and will head up a field of 13 candidates vying for this one open seat. Lisa A. Marino (pictured at right); Berwyn solo practitioner Eugene Joseph Berkes, a lawyer since 1983; Oak Park solo practitioner Carrie M. Foris, a lawyer since 1995; Loop attorney Kim R. Kardas, a lawyer since 1980, who made a run for the countywide Nowicki vacancy in 2008; John W. Chwarzynski, an attorney since 2000 and the former president of the Chicago Firefighters Union, Local 2, who maintains an office on the far northwest side of Chicago; and insurance defense attorney Radusa Ostojic, an attorney since 1986, who works for American Family Insurance house counsel, James M. Hoffman & Associates. Objections are pending to the petitions filed by Ostojic and Foris. Links are to campaign websites, where known. Michelle Hugghis Flagg, a candidate for the Steele vacancy in the First Judicial Subcircuit, has a campaign website up and running. That's a link to the website in the preceding sentence; a link has also been added to the Sidebar. The deadline for submission of questionnaires to the Alliance of Bar Associations for Judicial Screening is November 13, not the later date I'd mentioned in a post over the weekend. The deadline has been pushed up to this Friday, according to an email received from Joyce Williams of the ISBA (who coordinates the questionnaire process for the Alliance), "because of the upcoming holiday and the time intensive commitment to get through each candidate." This earlier deadline will help the Alliance meet its goal of completing candidate evaluations by the first of January. Candidates: To access Alliance questionnaire materials, use this link on the ISBA website. In a comment left just last evening on a January 17, 2008 post announcing that the CBA candidate evaluations were online someone asked, "The link no longer works, is there an updated one?" The short answer is not yet. The CBA and the Alliance of Bar Associations for Judicial Screening traditionally do not publish their comprehensive ratings on all the primary candidates until a few weeks before the primary. While I can't say for certain that my post went up on the very day the comprehensive CBA ratings were released, I'm pretty certain it was within a day or two -- and therefore no more than about three weeks before the primary. Expect nothing different this year. It's not that the bar associations withhold information -- quite the contrary. The bar associations are swamped right now, collecting and beginning the investigative process into new candidate questionnaires. These bar association ratings do not materialize out of the ether: Very extensive questionnaires must be completed by the candidates. These are then given to volunteer investigators who actually do contact references, look up cited cases and so forth. Nor are these "references" the strictly positive kind that people give on résumés. Almost anyone can find someone to say something positive about them -- but lawyers hoping to attain the bench must disclose their opponents in litigation -- even the attorney against whom the candidate filed a sanctions motion or the lawyer that filed three motions to compel against the candidate. All the different bar associations have their own judicial evaluation committees that consider the reports compiled on the hopeful candidates by the investigators. While the bar associations reveal results to candidates on a rolling basis, they do not publish their findings to the wider world until they have completed, or substantially completed, the process. Some candidates have their ratings already -- click through the campaign websites in the Sidebar if you wish to test the veracity of that assertion. Judges sitting by appointment were evaluated (if they'd not been evaluated already) at the time the Supreme Court considered the appointments. Persons who are running now but who have previously applied for Associate Judge or who have run in past elections may also have ratings from those attempts. Depending on how long ago those evaluations were made, the bar associations may, in accordance with their bylaws, accept the prior ratings for the current campaign. That reduces the work for the various JECs, but it by no means eliminates it. It merely gives those committees more time and resources to devote to the qualifications of new judicial aspirants. In some cases, also, as per their bylaws, the bar associations may be reconsidering prior negative candidate evaluations. As of this morning, the Chicago Bar Association website still says that the CBA is accepting candidate questionnaires. The early deadline for Alliance consideration has passed, and that date is still reflected on the ISBA website where Alliance materials are posted. However, I was previously informed that the absolute, drop-dead date for submission of an Alliance questionnaire is November 30. Candidates who have not submitted questionnaires to either the CBA or the Alliance should check out the websites and contact those groups as soon as possible for additional instructions. When the bar association ratings are released for the 2010 primary, they will be posted here. John Patrick Nyhan, Chief Counsel in the Cook County Assessor's office, and a lawyer since 1998, filed petitions for the Bronstein, Dolan, Hayes, and Riley vacancies on Monday afternoon. Nyhan was the only new candidate for the Bronstein and Hayes vacancies. However, Nyhan was one of four new candidates to file for both the Dolan and Riley vacancies. In addition to Nyhan, Sharon Finnegan Patterson filed for this vacancy on Monday. She'd filed earlier for the Bronstein vacancy. Ubi O'Neal also filed for the Dolan vacancy. A lawyer since 1993, O'Neal filed for the Keehan vacancy in 2007, but withdrew before the 2008 primary. According to the ARDC, O'Neal was censured by the Supreme Court in 1999. Patricia Manson's story about the case, for the September 8, 1998 Chicago Daily Law Bulletin noted that "a three-member panel of the Attorney Registration and Disciplinary Commission's Review Board found that O'Neal did not act with a fraudulent intent when he directed a client's wife to falsify a hospital's endorsement on a settlement check." Manson added, "While saying that obtaining an unauthorized endorsement was improper -- a fact that O'Neal acknowledged during the disciplinary proceedings against him -- the panel also found that O'Neal's violations were 'technical in nature' and that his conduct was not prompted by a 'malevolent motive.'" O'Neal maintains a solo practice in the Loop. The last of the four new filers for the Dolan vacancy is Marvin W. Gray, a South Side solo practitioner. Gray has been an attorney since 1972. Nyhan and Gray both filed for this vacancy. Edmund Paul Michalowski, a lawyer since 1997, also filed for this vacancy. That's a link to his campaign website in the preceding sentence; a link has been added to the Sidebar. According to Sullivan's, Michalowski is a hearing officer with the Secretary of State's office. His campaign website says Michalowski is "serving as counsel within the office of the Illinois Secretary of State." The website says that Michalowski began his career with the City of Chicago. It emphasizes his volunteer work with Marillac House; the Mercy Home for Boys and Girls in Chicago; Karen House, an unwed mother’s shelter; and with the John Paul II Newman Center. Tracy J. Stokes, a former president of the Women's Bar Association of Illinois and an attorney in the Chicago office of James M. Hoffman & Associates, was the fourth new candidate to file for the Riley vacancy Monday. William Burnett Raines, who practices with the firm of Shestokas & Raines (with offices in the Loop, several suburban locations, and in Fort Meyers, Florida) was one of two candidates to file in the race for the Berland vacancy Monday afternoon. A biographical profile on his firm's website notes that Raines once worked for the Oakland, California Police Department from 1983 to 1989. He graduated from California's Golden Gate University School of Law in 1992. Licensed in Illinois since 1993, Raines worked for the Cook County State's Attorney in 1994 and 1995, leaving to become "Special Counsel for the Fraud Investigations Department of the Fremont Insurance Group in Chicago" from 1995 to 2001. Then, according to that same profile, in 2001, Raines became "Government Affairs Counsel for the National Insurance Crime Bureau in Palos Hills, Illinois, coordinating anti-fraud measures with federal and state agencies." He joined Shestokas & Raines, also in 2001. Raines ran unsuccessfully for the countywide Salyers vacancy in 2004. The other new candidate for the Berland vacancy is Joanne F. Fehn. That's a link to her campaign website in the preceding sentence; a link has been added to the Sidebar as well. Fehn also filed Monday for the Kelley vacancy. She was the only new candidate to enter that race. Theodore "Ted" London, an attorney since 1998 and a South Side solo practitioner, filed for all three vacancies in Cook County's First Judicial Subcircuit on Monday afternoon. This is London's third attempt to gain the bench. He was knocked off the ballot before the 2002 primary. He filed again in 2004 for a 1st Subcircuit vacancy, but apparently withdrew before that primary as well. A story by Nathaniel Hernandez in the February 2002 issue of the Chicago Lawyer reported that London has a "varied background." According to the Chicago Lawyer article, "London was named as a defendant in two criminal complaints alleging domestic battery. He was convicted of misdemeanor reckless conduct in one case; the other was stricken with leave to reinstate after London's wife failed to appear in court. They divorced in 2000." The article cites court records that accused London "of bouncing two checks totalling $6,000; failure to pay rent; running a restaurant without a license, a matter later non-suited; and contract violations that one pro se plaintiff said delayed her wedding almost five months." Many of the court documents, the 2002 Chicago Lawyer article stated, "were related to [London's] operation of a construction company and restaurant." The article notes that London was involved in these businesses before becoming a lawyer. The Attorney Registration and Disciplinary Commission (ARDC) website notes no record of disciplinary actions or pending disciplinary proceedings involving Mr. London. The other new candidate in the 1st Subcircuit is Elliott L. Powell. Powell has been an attorney since 1988 and maintains an office in the West Loop neighborhood. Powell has been active in the Chatham Avalon Park Community Council. A Sun-Times story about a 2007 robbery at Illinois Service Federal Savings and Loan refers to Powell, a customer of the bank, as a lawyer and a pastor. Powell filed only for the "A" vacancy. Joseph Chico initially filed only for the Steele vacancy in the 1st Subcircuit; Judge Thaddeus L. Wilson filed only for the Coleman vacancy. Both, however, filed additional petitions for the "A" vacancy on Monday afternoon. Assistant State's Attorney Daniela Silaides, a lawyer since 2002, filed for each of the three openings in Cook County's Third Judicial Subcircuit. I have been unable to find any campaign website for Ms. Silaides. As expected, Dennis Michael Fleming will seek a judgeship from the 9th Judicial Subcircuit. He filed Monday for the Otaka vacancy. Fleming was the only new filer for either of the 9th Subcircuit openings. Fleming was recently interviewed on cable's North Town News Magazine. The program will air in Evanston on November 5 at 8:00pm on ECMC Channel 6 and in other suburbs on November 9. Check your local listings -- or watch the interview on page two. Associate Judge Joan Marie G. Kubalanza filed Monday for the Lipinski vacancy in the 15th Judicial Subcircuit. Appointed in 1998, Kubalanza is currently assigned to the Child Protection Division of the Juvenile Court. Before going on the bench, Kubalanza was a partner with Foley & Lardner. Also filing Monday for all three 15th Subcircuit vacancies was Michael Brendan Barrett. A lawyer since 1991, Barrett is currently employed by Barrett & Sramek of Palos Heights. Michael Barrett's brother Brian was appointed to a Will County subcircuit seat earlier this year by the Illinois Supreme Court. There are a lot of William Moores practicing law in Illinois, but (on information and belief) the William D. Moore who filed for the Phelan vacancy in the 15th Subcircuit on Monday is a solo practitioner with a mailing address in Robbins. 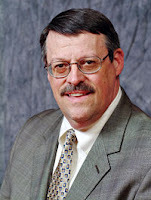 A lawyer since 1999, Moore has done work for the State Appellate Defender. Finally, as mentioned here Monday, Orland Park attorney Peter A. Fera filed for the Panichi vacancy in the 15th Subcircuit. A lawyer since 1968, Fera has considerable experience in wills and estates, trusts, banking regulations and compliance, mortgage law, and real estate law. I have been unable to find websites for any of these candidates as of yet. Related: 16 file in 15th Judicial Subcircuit -- so far. Before resuming the discussion of who filed Monday, I wanted to call attention to a statement by a Cook County judicial candidate that I saw recently on line. I won't name the candidate or the site where I saw the comment because I don't want to invite unnecessary speculation about the person or persons who might be the subject of this candidate's observation. Talking about petitions that were filed in this candidate's race, the candidate said, "It's shameful how blatantly bogus most of the signatures are. Photocopying the same pages and submitting them as different page numbers. Come on people - these are judicial races!" I will grant that the petition process and the governing election laws are picayune, byzantine, and generally (and unashamedly) designed to keep outsiders out of the politicians' way. Because the process is so tricky to navigate, it is understandable, perhaps, that a person not steeped in politics might fail to comply with some of the requirements and open up their nomination petitions to challenge. It is even understandable that a lawyer, not versed in election law, running for a non-judicial post, might make an inadvertent (and potentially fatal) error in his or her petitions. But photocopied petition pages designed to make the pile look plumper? This surely is beyond the pale in any case. So I agree with the candidate I've quoted: These are judicial races. Persons who achieve election to the bench might some day be called upon to apply these election laws to others. Compliance with each specific requirement seems particularly necessary for a judicial candidate even if one were assured that no one would ever investigate the petitions submitted: Someone who aspires to be called 'your honor' in court should act honorably in seeking the position. When I ran for judge in 1994 and 1996 I started off by seeking experienced legal counsel (Mat Delort, now an Associate Judge). When my petitions were signed, and assembled (and not with any photocopied pages) I brought them back to my attorney for review. My goal was to make my petitions "bulletproof." And any elevated motives here coincide with self-interest: The modest expense involved in taking these simple steps pales beside the cost of defending a petition challenge. I didn't get a lot of votes when I ran for judge -- but I didn't draw any challenge to my petitions either. As of 9:15am today, the State Board of Elections website shows no petition challenges filed as of yet. Apparently, however, some are in the pipeline. According to the State Board of Elections, 205 candidates presented petitions today, the last day for the regular filing period before the February 2, 2010 primary. Not all of these were judicial candidates, of course, nor were all the judicial candidates filing today from Cook County -- but a preliminary look at the filings indicates that nearly every Cook County judicial race got somewhat more crowded. The race for the Riley vacancy in the 11th Judicial Subcircuit drew five new candidates today, bringing the total vying for that single seat to a potentially ungainly total of 13. Not every race drew another contender: Judge Daniel Pierce was the one and only person to file for the 14th Subcircuit "A" vacancy and he is assured of election in November 2010. There were no additional filers for the "A" vacancy in the 9th Subcircuit either -- but there are currently eight candidates in that race. There has already been one withdrawal among the judicial candidates: Scott Lipinski has withdrawn from the Phelan vacancy in the 15th Subcircuit; he remains a candidate to succeed his mother, retired Judge Marcella C. Lipinski. Some of the names of today's filers will be familiar to those who have been following this blog recently -- but not all. However, because of the press of other business, it will take me some time to sort through the new filings and provide comprehensive updates; I hope to start posting again some time tomorrow. And note that the Republican and Green primaries are also made irrelevant, at least when it comes to picking judges in Cook County: Persons who take a Republican or Green ballot in Cook County in the February primary are also effectively disenfranchised, at least with regard to their right to choose their judges. Could anyone come up with more compelling reason for advocating a non-partisan judicial primary? Melanie Rose Nuby, an assistant Public Defender who ran for a seat from the 7th Subcircuit in 2008, filed petitions this morning to oppose Judge Thomas V. Lyons in the race for the countywide O'Malley vacancy. The only other candidate in that race... so far... is Kevin J. Murphy. Murphy, however, has filed for every available countywide vacancy and for all three vacancies in the 15th Judicial Subcircuit. Filings like this are likely to take place throughout the day as the initial filing period comes to a close. There should be something of a boomlet just before the doors close at the State Board of Elections as candidates jostle for the privilege of being the last candidate on the ballot for any given opening. Being first on the ballot is known to confer an advantage -- but, in many cases, so many file for that privilege that the odds are fairly long for any individual. A lottery decides who gets the top line. Being last on the ballot confers and advantage, too, though the statisticians say it is not as great as being first. Of course, there can be a lottery for last place among those deemed 'in line' when the doors close... but that seems a seriously stressful game to play, doesn't it? There are as yet no withdrawals filed in Cook County judicial races, nor any objections either. Candidates who have filed for multiple vacancies have until a week from today -- November 9 -- to decide which race to stay in and which ones to abandon. Filing closes tomorrow for the initial candidate filing period; no additional Cook County judicial candidates filed after the doors opened last Monday morning at the Illinois State Board of Elections. Although the Appellate Court races are somewhat beyond the scope of this blog, while we're waiting to see who comes in at the filing deadline, we can take a moment and look at who filed for the three Appellate Court vacancies in Cook County. Most of the persons filing for the Appellate Court already serve on the Circuit Court. One, Sebastian T. Patti, already serves on the court. He was serving on the Cook County Circuit Court as supervising judge of the Housing Section within the 1st Municipal District when he was assigned by the Illinois Supreme Court to the vacancy created by the retirement of Justice Leslie E. South; Patti was subsequently slated for this vacancy by the Cook County Democratic Party. Judge James R. Epstein was slated by the Democrats for the McNulty vacancy; Judge Pamela E. Hill-Veal was slated by the Democrats for the O'Malley vacancy. Some Appellate Court candidates filed for more than one vacancy. Chancery Judge Mary Katherine Rochford filed for all three vacancies. Judge Ellen Flannigan filed for both the McNulty and South vacancies. Deidre Baumann, a candidate for the countywide Berland vacancy on the Circuit Court, also filed for both the McNulty and South vacancies. Other candidates for the McNulty vacancy are Judge Arnette R. Hubbard and Judge Jim Ryan. Also filing only for the O'Malley vacancy were Judge Thomas L. Hogan and solo practitioner Frank Edward Gardner. Gardner has run for the Appellate Court previously, most recently for the Campbell vacancy in 2008. Judge William D. O'Neal filed only for the South vacancy, as did solo practitioner Kevin Rogers. Every one of these candidates has filed for the Democratic Primary. No Republican or Green Party candidates have yet come forward for either the Cook County Circuit Court or the First District Appellate Court.